Ghost Dog and Mystery Train's Jim Jarmusch has revealed details about a documentary about Iggy Pop, as well as his forthcoming film project, while curating All Tomorrow's Parties in New York. His follow-up film to The Limits Of Control will feature Tilda Swinton, who Jarmusch has worked with on Broken Flowers, as well as his last film. He told Pitchfork: "I have a new film project that's really foremost for me. I hope to shoot early next year with Tilda Swinton and Michael Fassbender and Mia Wasikowska, who was Alice in Wonderland in Tim Burton's film. I don't have that quite financed yet, so I'm working on that." The director revealed that as well as the new flick, he will be working on a long-term documentary project with Iggy Pop after the singer asked him to get involved. Jarmusch said: "It's something Iggy [Pop] asked me to do. There's a rule in my household that if Iggy is playing anywhere within 90 miles, we go. It's going to take a few years though. There's no rush on it." what kind of documentary will it be? will it be like all the Iggy docs and the Raw Power doc? like the The Doors When You're Strange movie that came out? There is a lot of buzz about this story. However, a lot of the articles are saying "Stooges" documentary rather than ""iggy" doc. This is sounding better now!!!!!! Sounds pretty tentative at the moment..will be interesting to see it take shape. True. 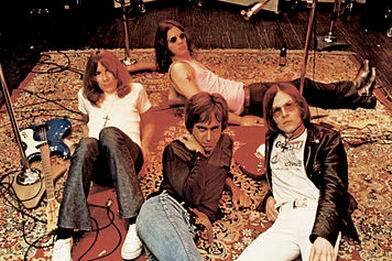 Hence why most people know or refer to them (The Stooges) as Iggy and The Stooges. Jim Jarmusch too! So we already know it's gonna be good! Director Jim Jarmusch didn't get a chance to film Iggy Pop during the peak of the Stooges, but he's not letting that stand in his way of getting a modern-era Pop documentary on film. Jarmusch revealed he's starting a documentary project focusing on the former Stooge. The documentary is set to collect footage over the next couple years, probably including live footage, and piece it together in a expansive overview of the life of a middle-aged punk icon. Jim is very cool and a great music fan. Indie filmmaker Jim Jarmusch sat down with Rolling Stone at All Tomorrow's Parties this weekend and gave us some details on his planed Stooges documentary. While the film is still years away, Jarmusch — who recruited the Stooges to perform Raw Power at ATP on Sunday night — promises it will be more visually interesting than a typical documentary that relies on "talking heads." He also plans on using new music Scott and Ron Asheton recorded prior to Ron's death in January 2009, which Iggy later sang over. "It's something that Iggy asked me to do about a year ago, because he knew I was a huge fan of the Stooges," says Jarmusch. 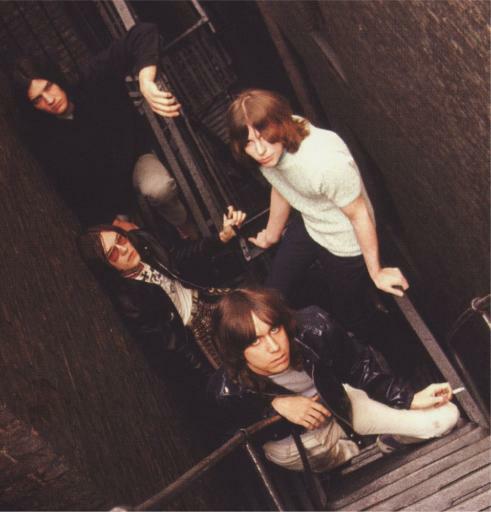 "It's not an overview of Iggy Pop or his life or his career, but of course the Stooges are so important in the history of music, and certainly Iggy's the engine of it." For more, watch our video above. thanks for the update HJW. although how are they going to get everything into a two hour documentary? Hey folks. I'm producing this film and just want to give a shout and say thanks for the support. As huge Stooges fans we're very excited to have the opportunity to do this. If anyone has any high quality sources for the limited amount of live or other footage, photos, posters, clippings or anything else that's out there please PM me. We want to leave no stone unrolled. He also plans on using new music Scott and Ron Asheton recorded prior to Ron's death in January 2009, which Iggy later sang over. Really want to hear it in its entirety...don't care about quality. Other than using it in the film, I hope that it will be released as some sort of "bonus feature" on a CD. Which production company do you work for? It's been over a year now, wonder how it's coming along?